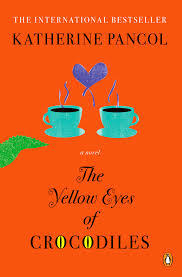 The latest addition to my website is Katherine Pancol‘s Les Yeux jaunes des crocodiles (The Yellow Eyes of Crocodiles). I have been hesitating about reading this book but, on my recent holiday in France, it seemed somehow appropriate, not least because Pancol’s latest book, Muchachas 3 was in every book shop I visited and, though I generally avoid the Summer/Beach reading recommended by (semi-)famous authors in the various newspapers, something light seemed called for, so I plunged into this literary phenomenon. I say literary phenomenon though, while it has had considerable success in France and elsewhere, it has had less success in English. This may be because of the translation (see my notes on the language issue in the review on my site) or because it is very Gallic in flavour, which might not readily appeal to US and UK readers. It is fairly lightweight but a pleasant enough read, with plot complications, the weaknesses of men highlighted (and some weaknesses of women), marriage damned, ambition (but only honest ambition) praised and a big cheer for the woman who carries on fighting for her corner against the perfidies of the world, particularly the masculine world. It tells the stories of two sisters – the dowdy, insecure intellectual Joséphine, and the dashing, beautiful and elegant Iris – and their struggles. You can probably guess who comes through, without reading the book. The British royal family, Mick Jagger and Eleanor of Aquitaine all have a role to play as Pancol romps through her story with her colourful and very colloquial contemporary French. A good read beach read perhaps but of course there are better things to read on the beach. 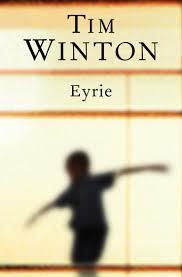 The latest addition to my website is Tim Winton‘s Eyrie. While not his best, this is another fine novel from Winton. Tom Keely was a successful advocate for WildForce, an Australian environmental group that took on and beat businesses flouting environmental laws. But it all went sour, as did his marriage. He is now living on his dwindling savings in a high rise flat in Fremantle and drinking heavily. One day, he bumps into a woman of around his age with a young boy, who also lives in the block of flats. She recognises him and identifies herself as Gemma Buck. Tom’s parents were religious and his father, Neville, in particular, took it upon himself to help the downtrodden in the poor district where they lived, using his fists if necessary. Gemma’s father regularly abused her mother and, for a while, Gemma and her sister lived with the Keelys. She is now looking after her grandson, Kai, working stacking shelves in a supermarket, while, Carly, her daughter, is in prison for drugs and the boy’s father, Stewie, is not interested in his son. Tom had always wanted a child and, despite his own personal problems, he gradually, if somewhat reluctantly, becomes involved in the life of Gemma and Kai, though not without some difficulty. His own problems, Gemma’s problems, Kai’s uncertainty about life and Stewie’s need for money for his drug habit all combine to make things complicated for Tom, even with the help of his mother, Doris, now a widow, who continues her struggle for social justice. Last year we spent an enjoyable few days in Provence, so we headed back this year. This was more of an artistic trip than a literary one. Before going, we watched one of my favourite actors, Richard E Grant, giving an interesting introduction to the various artists who lived and worked on the Côte d’Azur. Our first stop was to the fairly ordinary town of Cagnes-sur-Mer. 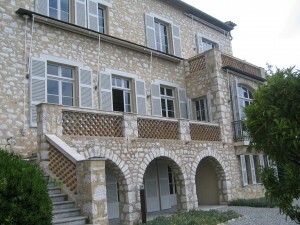 However, just outside the town is the Renoir Museum, which was Renoir’s last home. As you can see from the photo above left, it is not a very imposing house and it was not helped by being a cloudy day but we were able to see Renoir’s studio, several of his paintings, lots of photos of him and his family and ceramics made by him and his sons. All of his three sons went on to careers in the arts, Pierre as an actor, Claude as a ceramic artist (some of his ceramics were on display) and Jean as one of the great film directors. I have seen around twenty of his films and all are superb, still very much worth watching. Vence was another town which did not impress us much but, just outside it, is Matisse’s chapel. 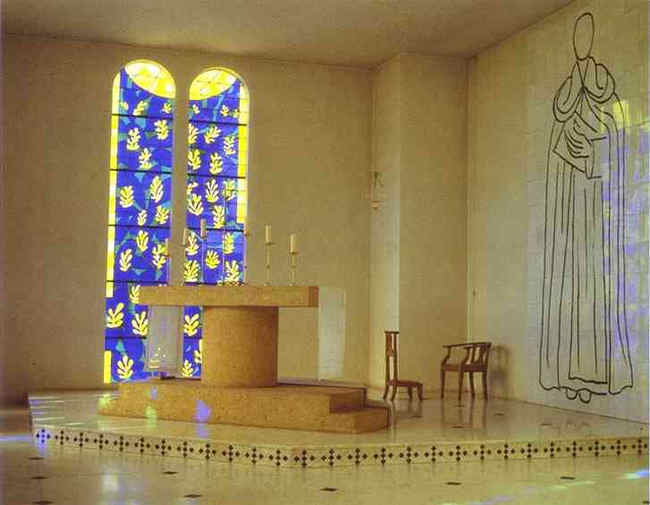 Matisse built it on a plot of land he purchased and fully decorated it, as thanks to the Dominican nun who had looked after him while he was sick. He designed everything himself, even though he was in his late seventies at the time. He said it was his masterpiece and it would be difficult to argue with him on that point. The stain glass windows are stunning, as is the simplicity of the design of the chapel. Those who live in the UK may well be aware of an important exhibition of Matisse cut-outs at the Tate. Tate director Nicholas Serota, who curated the exhibition, was inspired by his visit to the chapel. 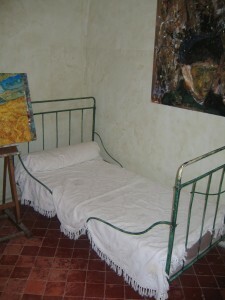 Of course, another famous artist associated with Provence is Van Gogh. We did visit Arles where Van Gogh lived for a time but his famous yellow house was destroyed in World War II and there is not much else to see associated with him. 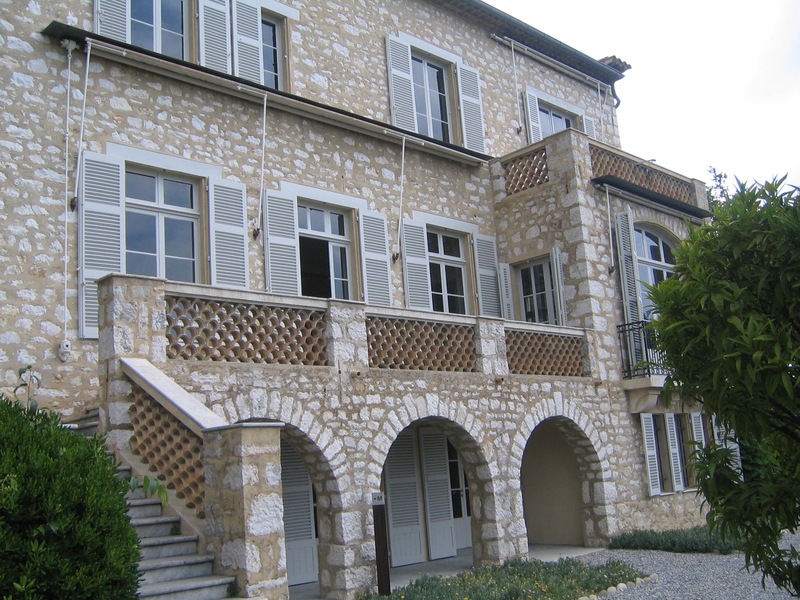 However, we also visited Saint-Rémy, where Van Gogh spent a year in the Saint Paul Asylum which is still very much extant and located just next to the Roman site of Glanum. You can still see such much of the scenes that Van Gogh painted, including the lily beds (sadly it was past lily season), the olive trees, the garden and various parts of the hospital which, apparently, have changed little since Van Gogh’s day. Though there was not much to see in Arles related to Van Gogh, as well as the various Roman remains, there was also my favorite publisher in the whole world, Actes Sud. 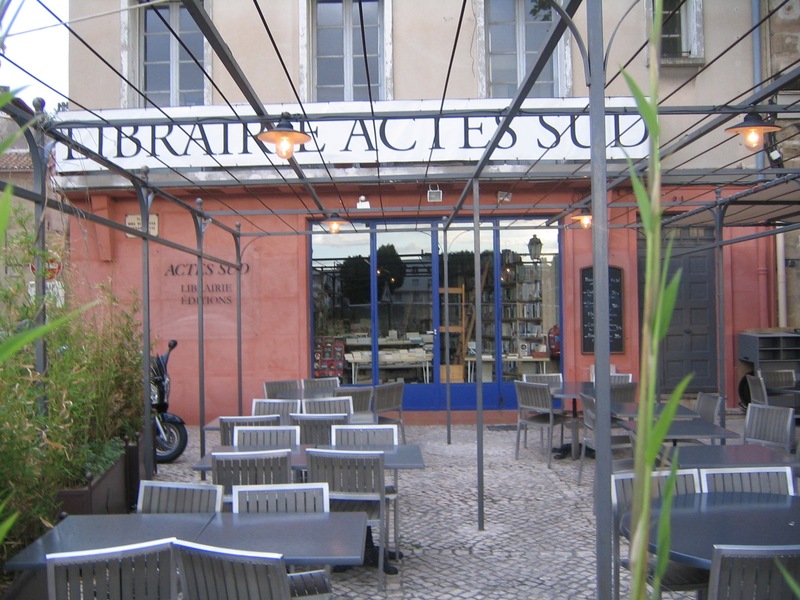 I have some seventy Actes Sud books in my library (and acquired a few more, as they have an excellent bookshop in Arles, as you can see in the photo to the right). 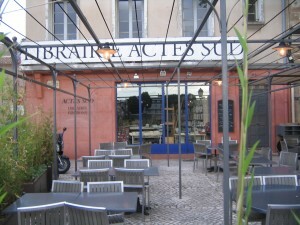 What makes Actes Sud special, apart from their unusual location, is that they publish not only innovative French works but also translations from many languages, including many fine works that it would be impossible to read, unless one spoke far more languages than most people could ever hope to master. I spent far too much time in the bookshop and, probably, far too much money but it was a good way to end a most enjoyable visit.